A Calgary man is facing several charges after a weeks-long investigation lead to police seizing an estimated $50,000 worth of drugs. 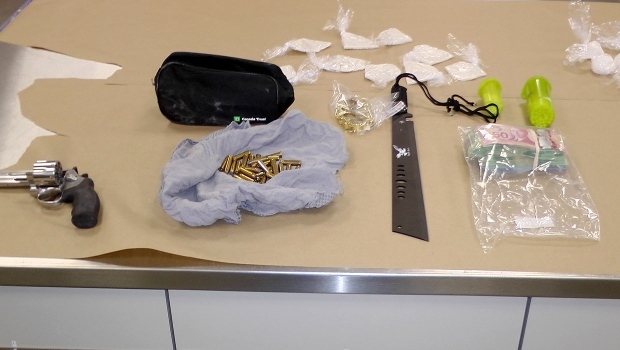 Police received a tip at the beginning of March that a man was trafficking drugs, including methamphetamine, in the community of Erin Woods. An investigation was launched and on March 20 a man was arrested following a traffic stop. Dinh is scheduled to appear in court on Wednesday. Police say the investigation was a direct result of the ongoing Daylight Initiative, which was launched in December to address the rapid growth of meth use in the city and has resulted in more than 200 drug trafficking charges since the beginning of the year.